Do you still have your grandmother’s old Betty Crocker cookbook? Besides holding pleasant memories, what if it also contained secret messages? What if everything you’ve been taught about your history and identity are wrong? Everything is perfect for Kate Miller. She is falling in love with the ideal man while advancing in her professional career. Then her ordered life is about to change. She receives strange emails from her grandmother, strange because her grandmother died three years ago. Coupled with this, her apartment is burgled and her cookbooks stolen, the ones her grandmother told her to preciously guard. She hires a quirky private detective and goes on a quest to recover her possessions. He challenges her to question the beliefs about herself, while others attempt to stop her from solving the mystery found in the cookbook. Then she faces a truth that is impossible to accept. 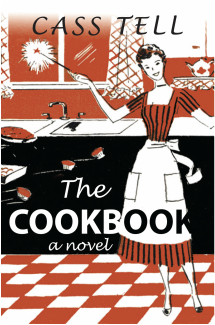 This romantic/thriller is an adrenaline filled page turner interlaced with memories of laughter in the kitchen, of tastes and smells, and how a grandmother lovingly prepared a young woman to face enormous challenges. This is my tenth novel, a suspense story with emotions, humor and a sentimental underside.